Truth is, you don’t need to book an expensive holiday to ‘escape’ your normal life. In fact, you can experience all the benefits of overseas travel – interesting food, breathtaking sights, historical places, new faces – without even setting foot near an airport. It’s all about your perspective. With a little creativity, micro-adventures like these can be just as rewarding and relaxing as any long-term getaway. So go on, find the extraordinary in the ordinary! Walk the coast – all 25km of it. Start in Coalcliff and wind your way along the gentle curves of the Sea Cliff Bridge. Upon arriving at Coledale or Thirroul, refuel with coffee and cake. If you’re up for it, continue along the bike track to Wollongong. Don’t be afraid to stray from the path. It’s there you’ll find secluded sections of beach that you never knew existed, quaint cafes serving up local goodies, and even pockets of lush, subtropical rainforest. Leave your mobile at home – it’ll help you to see things with fresh eyes. Go fruit picking at Glenbernie Orchard in Darkes Forest. From November to December you’ll find stone fruit and berries in abundance, and from January to April it’s all about apples. Fruit picking is the perfect way to cut down on food miles and buy straight from the grower. Kids will love the hands-on experience. Adults will love the cider. If you can’t get there, the community gardens at Wollongong PCYC are worth a wander. Visit on the first Sunday of the month for their monthly ‘Garden Gathering’. 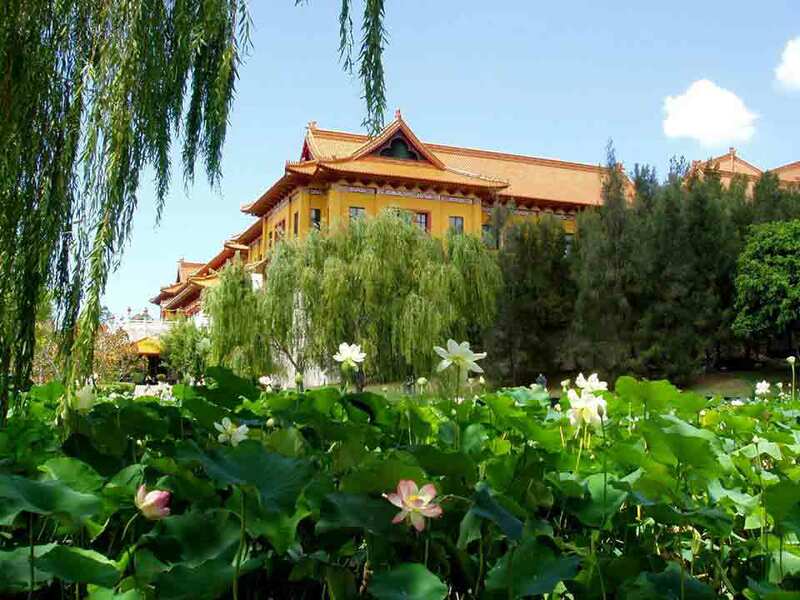 The Dew Drop Inn at the Nan Tien Temple in Berkeley is the perfect place for anyone hoping to discover something new, without the drain of a long-haul flight. At this traditional tea house, you can feast on affordable Asian treats, sip on hot tea and then lose yourself in the grounds of the Southern Hemisphere’s biggest Buddhist temple. Splurge at the spa. The Coal Coast has an impressive number of spas, so you don’t need to fly to Bali to bliss out. Try Ibah Spa, nestled at the base of the escarpment in leafy Austinmer, or Spa Semiyahn, an urban retreat in Port Kembla. Climb the escarpment. While it’s true every second Coal Coast local has climbed Sublime Point, far less of us have reached the top and then continued. 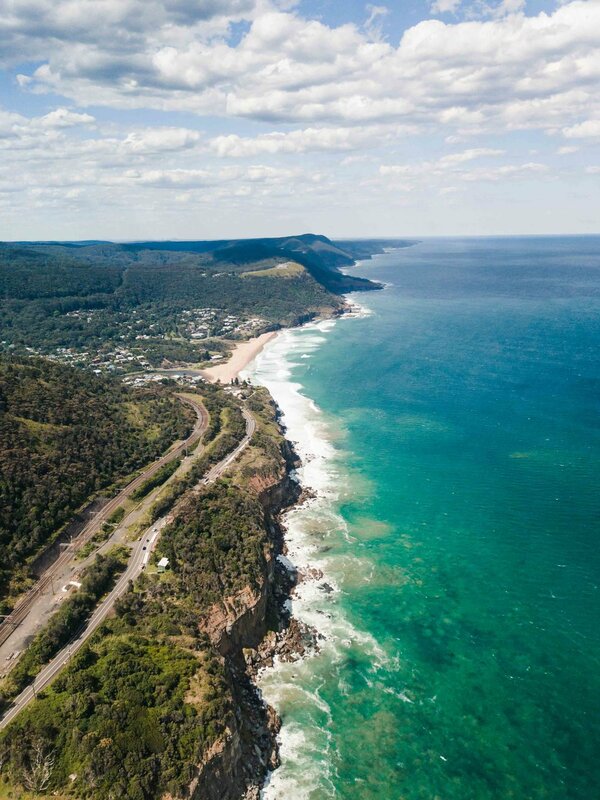 The 11km forest walk that links Sublime Point (Austinmer) and Mt Mitchell (Coalcliff) may take between five to six hours, but rest assured, the ache in your legs is worth the stunning views at either end.